Leaked emails show billionaire George Soros having enormous influence over Clinton, with her aides working to keep him happy. New emails released by WikiLeaks reveal how aides to Democratic presidential candidate Hillary Clinton went out of their way to ensure that billionaire George Soros was kept happy. According to the leaked emails, Soros would reach out to Clinton's assistant, John Podesta, whenever he felt like it and make his wishes known to the Clinton camp, before and during the election campaign. Soros was not shy about sharing his opinions on a range of subjects, from advising Podesta on who should be nominated to replace deceased Supreme Court Justice Antonin Scalia, to insisting on the appointment of moderators to diplomatic disputes of which the US was not a party. Soros was also able to drag Clinton to fundraising events her campaign staff would not have had her go to. “I would only do this for political reasons (ie to make Soros happy),” wrote Clinton campaign manager Robby Mook in response to a request that Clinton attend one such event for a liberal organization called "America Votes". Soros has been accused of funding left-wing anti-Israel and pro-BDS organizations through his organization, Open Society Foundations. 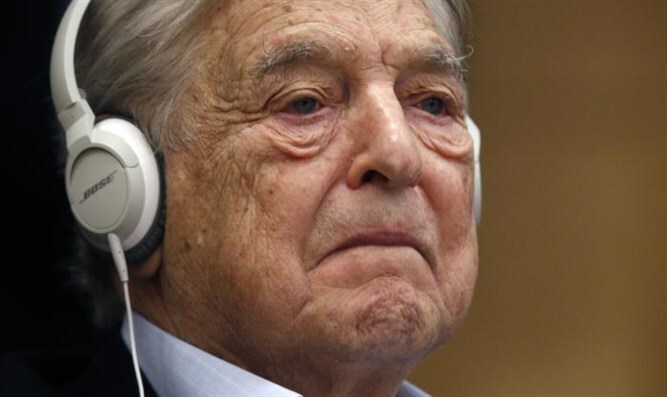 Soros was estimated to have donated more than $16 million to the Clinton campaign and other Democratic candidates for political office in the US by the end of August 2016.